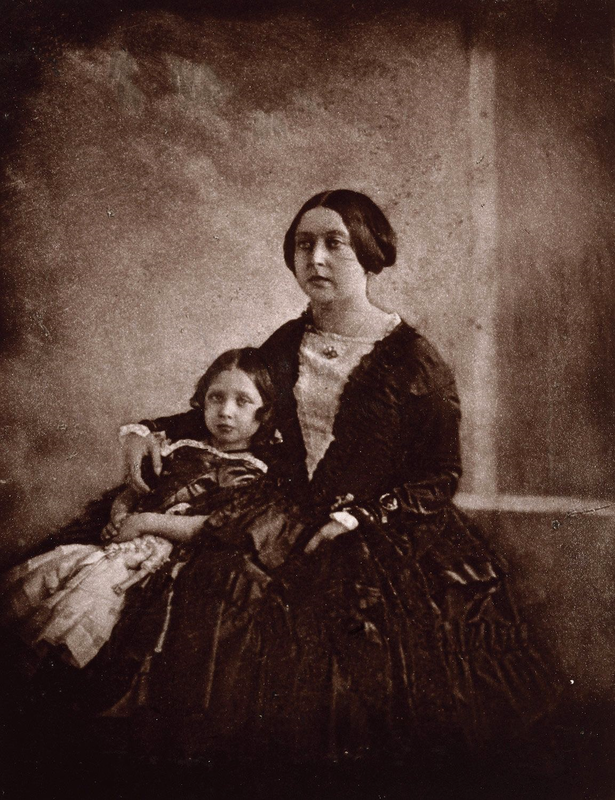 Queen Victoria with her eldest daughter Victoria, the Princess Royal (ca. 1844-45). This is the first photograph ever taken of Queen Victoria. It is an so-called calotype, made by photographer Henry Collen. Royal Library, Windsor Castle. This must be a very early example of portraiture and it is excellent in my opinion. Talbot patented the calotype only a few years before this. (Daguerre patented his process about the same time.) Photography was very new. I love how the young Victoria looks so much like her mother. I, too, really like this photo. I had never seen it before and it seems quite tender. I find it very interesting that the younger Victoria, pictured, became the mother of Kaiser Wilhelm II, who waged war against England. It is very strange to me how nationalism trumped family ties. As I'm sure you're aware, Wilhelm would eventually go into exile just south of Amersfoort in Doorn. Have you been to his estate there? I'm surprised you know this, yes he lived just to the south in a beautiful part of the country with a lot of hills and woods. I've never visit the manor though. I should go over there, make photos, and show them at this blog, thanks for the idea! Queen Vic never seemed to look directly at a photographer or painter!! Ever! !